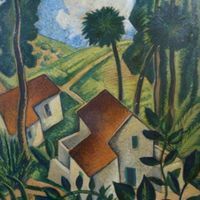 Roofs and Palms by Jules André Smith. Born in 1880 to American parents in Hong Kong, raised in New York and Connecticut, and educated at Cornell University, J. André Smith worked for several years as an architect, never giving up on his first love of art. His early passion was printmaking, specifically etching. In 1915, he was awarded a gold medal at the Panama-Pacific Exposition in San Francisco, California. During World War I, Smith continued to work in both drawing and printmaking, selected as one of eight artists by the U.S. government to go to France in 1918 to record military activities. He would later publish those works in a book titled In France with the American Expeditionary Forces. Original painting: Smith, Jules André. Roofs and Palms: Maitland Historical Museum, Art & History Museums - Maitland, Maitland, Florida. Digital reproduction of original painting: Smith, Jules André. Roofs and Palms. Smith, Jules André. 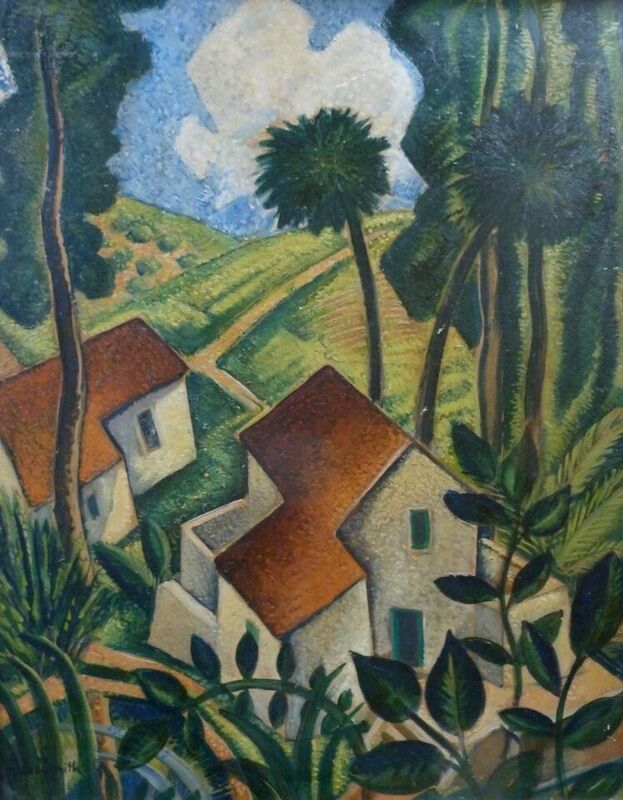 “Roofs and Palms by Jules André Smith.” RICHES of Central Florida accessed April 21, 2019, https://richesmi.cah.ucf.edu/omeka/items/show/5389.